Everyone is flocking to Denver – millennials, hippies, boomers and, of course, real estate investors. Not only is Denver the No. 1 place for business and careers, according to Forbes, and one of the fastest-growing cities in the U.S., but also the barrier to entry for real estate investors is relatively low compared to other major office markets such as New York City, Washington, D.C., Chicago and San Francisco. 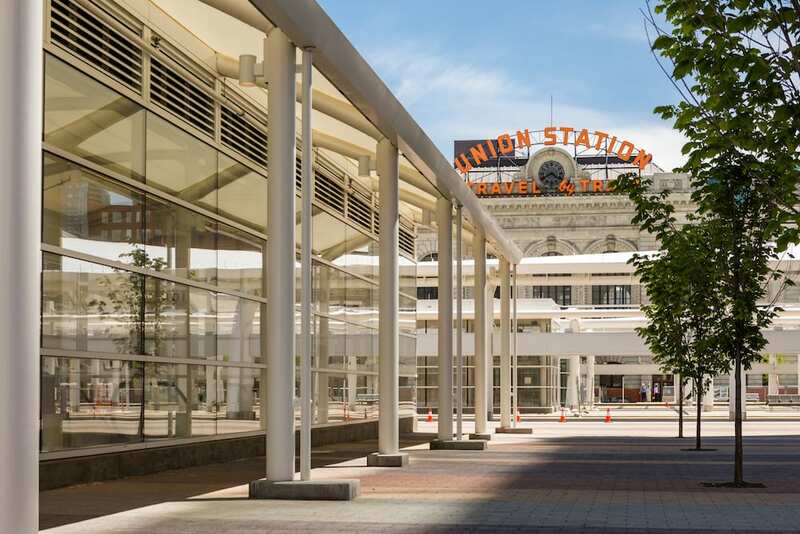 Denver’s record-high sales price of $600 per square foot for IMA Financial’s building at Union Station is 70 percent less than top office building sales in New York City, 40 percent less than San Francisco and D.C., and 10 percent less than Chicago. What has long been a regional play for investors who were born and bred in Denver now is gaining the national and international attention it deserves. International investment. Foreign investors have sought out real estate investments in the states for decades, primarily in the coastal cities. Investing in the U.S. for foreign capital often has been compared to a savings account. Even in downtimes, the U.S. office market is extremely attractive to foreign money given its long-term stability. Despite the American tendency to think the sky is falling during a recession, foreign investors see a short-term dip as an opportunity to get in at a price that will increase their exit returns, however long it takes. Canada’s Brookfield Properties is one of the largest owners in downtown Denver and has been invested in Denver since the 1980s. While Denver has been popular with Canadian investors for some times, investors from Asia Pacific and Europe, the Middle East and Africa are catching on. In the past five years, Denver has seen investments from Bahrain, South Korea, Hong Kong, Germany, Chile, Mexico and Canada, to name a few. The international capital invested in Denver has been steadily growing each year – $230 million in 2013, $330 million in 2014, $420 million in 2015, and $230 million year-to-date 2016. In the last 12 months, 27 percent in Denver’s office building investments have come from overseas, broken out as 22 percent AsiaPac and 5 percent EMEA. Domestic investment. Denver also is seeing a slew of new investors coming from other parts of the country. Those who previously thought of Denver as merely a stopover on the way to Aspen are catching on to Denver’s appeal. They have seen the potential, proven by the massive population growth seen in 2015 and projected for 2016, and want to get in while they still can. Investors see the diversification in the economy. While Denver is still a major player in the oil and gas sector, it does not pull the strings for Denver’s economy anymore. Oil and gas and related sectors were the economic drivers in town before the 1980s recession. 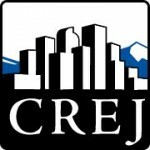 Today, the largest industry is professional and business services with over 18 percent of Denver’s employment, meanwhile natural resources and construction is closer to 6 percent. The combination of a diverse economy and job growth higher than the national average paints Denver in a very favorable light, and investors are eager to be a part of a different, more stable picture. Since 2011, Denver has seen 11 new investors from the West Coast totaling close to 30 transactions and $800 million, 10 from the East Coast totaling more than 60 transactions and $1.2 billion, four from Chicago totaling more than six transactions and $260 million, and four from Texas totaling more than 15 transactions and $140 million. In the last 12 months, 73 percent of investment in Denver’s office buildings came from domestic investors, broken out as 36 percent new-to-Denver since 2011 and 37 percent Denver natives or established in Denver before 2011. Tenant impact. Tenants, alongside their advisers, need to do extensive due diligence on existing and prospective landlords before finalizing a plan of attack. Each landlord has a different philosophy, be it to maintain occupancy, keep rates high, or value-add and sell. Some landlords are looking for a long-term hold. Some are looking to push rates and sell as soon as possible. There can no longer be a one-size-fits-all approach with such a diverse ownership base and mentality. There are many factors in play for each owner and, often, within owners’ different funds. Each situation must be evaluated on a case-by-case basis. Many international investors want to keep their building fully leased, so it may be difficult for a tenant to downsize or do a short-term lease. Domestic users vary greatly, and a deep dive into their portfolio is the only way to understand how they operate. For instance, a certain fund is nearing the end of its life cycle and sale of the fund’s assets are imminent. If a building is part of that fund, the tenant needs to be prepared for the impact of that sale. Measures need to be taken to ensure the tenants’ current and future needs will be met, regardless of sale or new ownership. This can be done a few different ways, such as options in the lease or stop gaps to keep things in check. Either way, tenants must come to the negotiating table with an arsenal of information and a clear strategy in order to succeed. Featured in the June issue of Office Properties Quarterly.